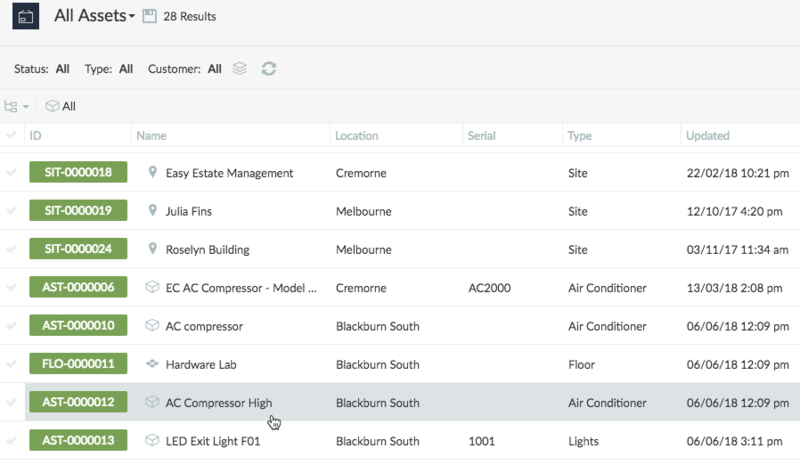 Assets can be moved from under the current parent to another site or asset that's already recorded in Loc8. 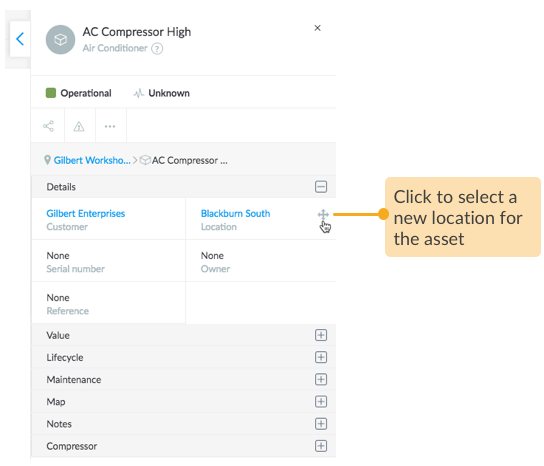 Moving an asset will also move its nested assets to the new location. NOTE: You will not be able to move a site under another site because physically they are two separate locations and cannot be associated through hierarchy. To begin with, select the asset to be moved. The asset inspector opens up on the right-hand side of your screen. Hover over Location field and click the move icon. 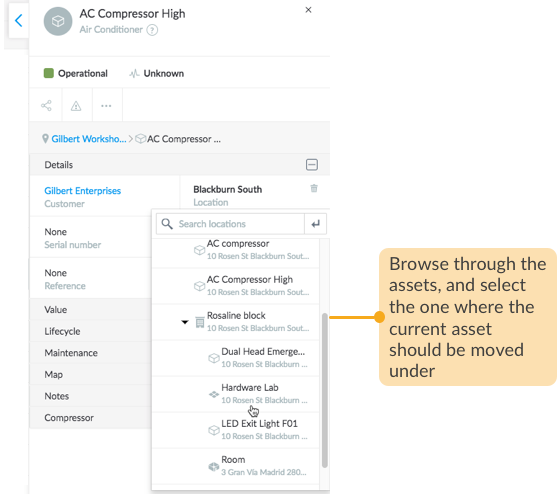 The moved asset will inherit the maintenance schedules that are already active for its new parent asset or site.